I haven’t been here but for a couple of days and I’m already loving it. The office manager, Kim is very nice and prompt when it comes to things! I’m glad I chose to live here. It’s been very quiet and everyone has been friendly! Kim does an Amazing job! She helped me out from beggining to the end of the application process. Maintenance has been great to deal with also. Great so far. The office manager Kim is fantastic. It’s very quiet and not a lot of traffic, but still close enough to everything in town to be convenient. Everything was fine in the beginning, but towards the end loud people started moving in, there would be a lot of partying doing on, which is fine on the weekends but people would be blaring music on a Tuesday night at 11pm. Good neighborhood here, rent is pretty cheap and Kim is really great and a nice landlord. Great benefits here as well. I’m glad I pick popular village for my first apartment. Nice place to live, they accept pets, and kim at the front desk is so nice!! She helped us a lot! Our place came with hardwood floors washer dryer hook up and stainless steel appliances. The place is clean. It's very quiet. It's very safe. Excepts pets. Grills out back. Dog walk area. Easy pay rent. Heating and ac. Very safe! Friendly and helpful staff, Close to all the goodies in Murfreesboro and of course clean modern apartments that allow pets that's extremely affordable. 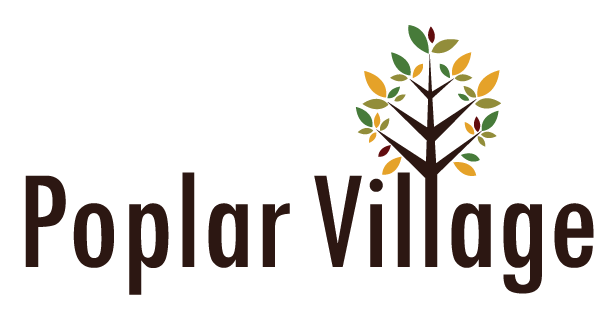 Poplar Village has made the transition of finding an apartment, signing the papers, moving in, and feeling like home such a great experience. Kim was great working with us and pointing us in the right direction. We have enjoyed Poplar Village so far. Pretty good place to live. Close to stores. Most of the neighbors are pleasant and somewhat quiet. Absolutely love Brian, our property maintenance guy.Our property manager, Kim is nice also. The Poplar Village community welcomed us so well when we first toured the property. The location was great, the facilities were great, and the value was unbeatable. The management team has worked so well with us to respond to all of our questions promptly and to make sure to help us the whole way through the process of signing a lease for the first time. Great place to live. Good neighbors, always feel safe here. It’s a quiet area and good Maintenence and help from Brian whenever it is needed. Still loving it! I think what makes me stay is the feeling that I’m safe. It’s not perfect or fancy but it’s better than most. If I have a problem I know I just have to call and it’s handled. Very easygoing and quiet. The office responds quickly to questions and the mantinence is fast. I love how tucked away from the main road this is. This place is awesome! All that is missing is a pool. In the center of everything- quiet and cute! Great neighbors and we feel safe here! We always know if we have an issue- which isn't often, it will be taken care of immediately! Community is very welcoming, friendly and very helpful with places to go. The neighbors are very quiet and very respectful of the neighbors. Caitlin, Thank you for making Poplar Village your new home. Please let us know if you all need anything. Poplar Village Staff. Great quite location. Provided easy access to things around Murfreesboro. Could use a few more amenities and better playground for the kids of the complex. Awesome staff! I have lived here for more than a year and have no real complaints about the community. It's always quiet, which makes it ideal for serious college students.